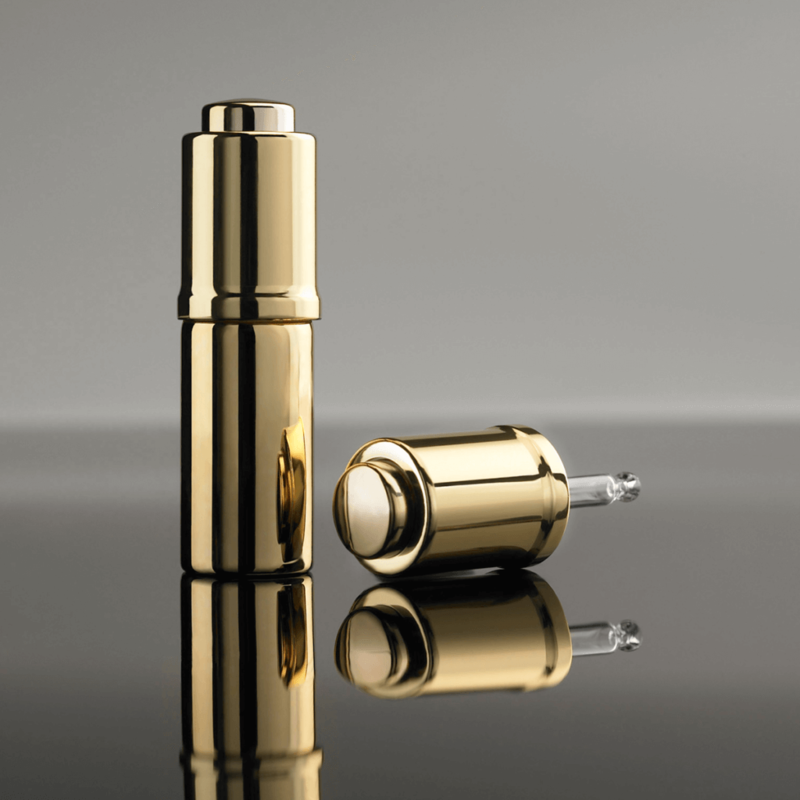 Experience high end droppers. 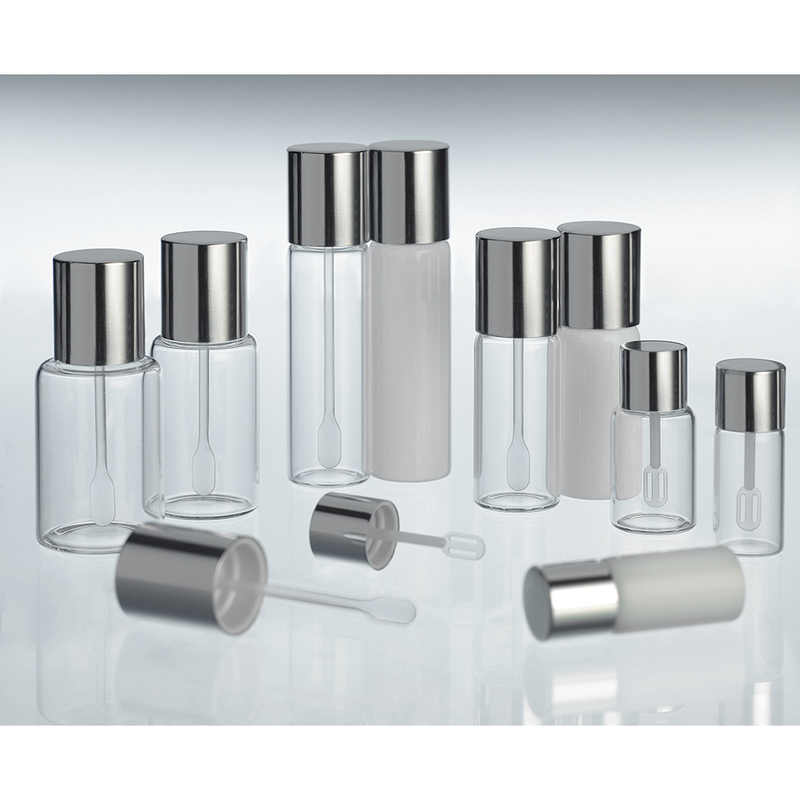 We have a large range of push button droppers and cosmetic droppers in standard molds and neck fittings which are highly customizable. 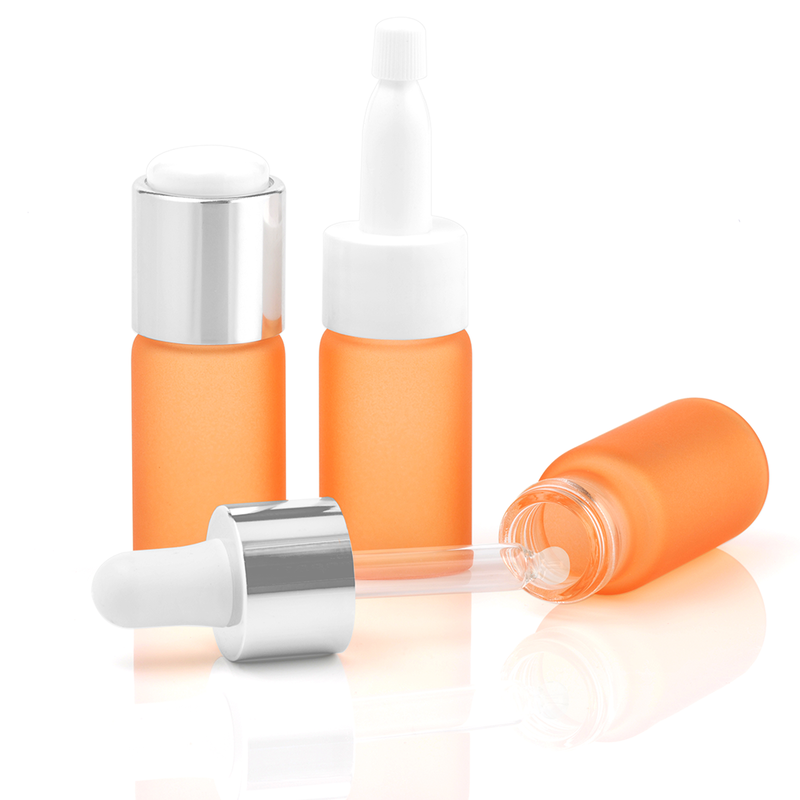 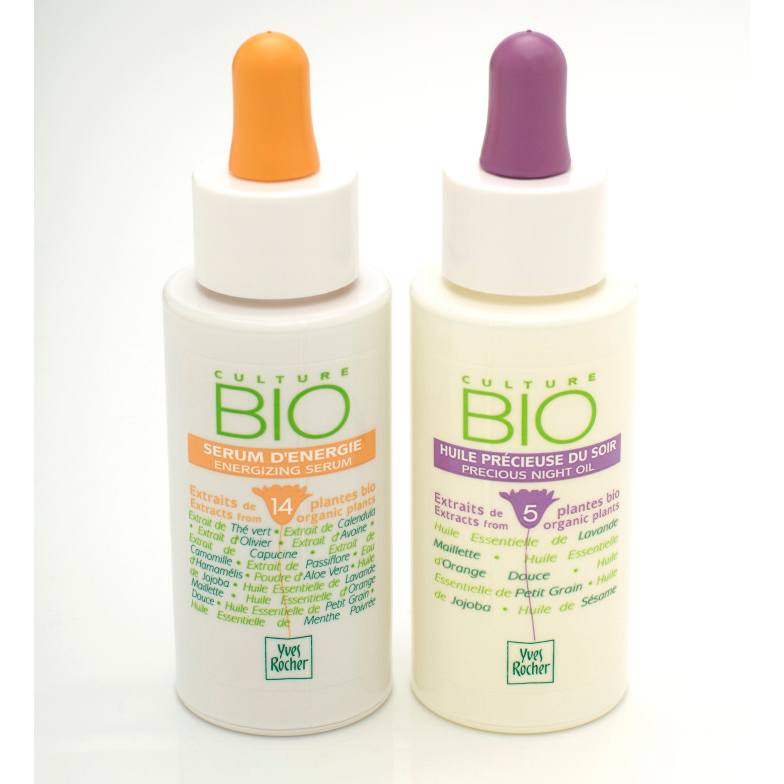 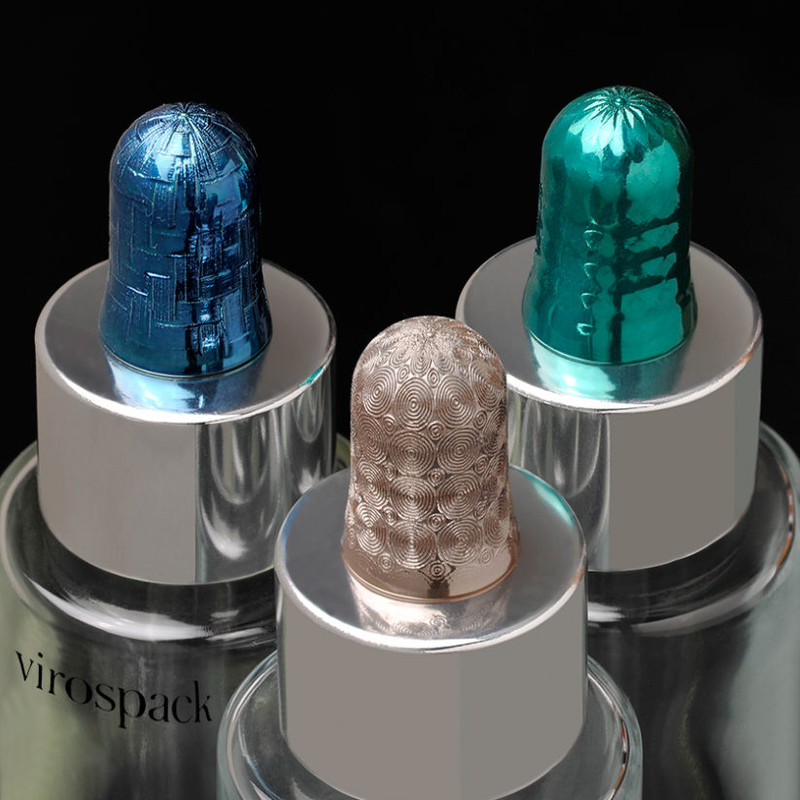 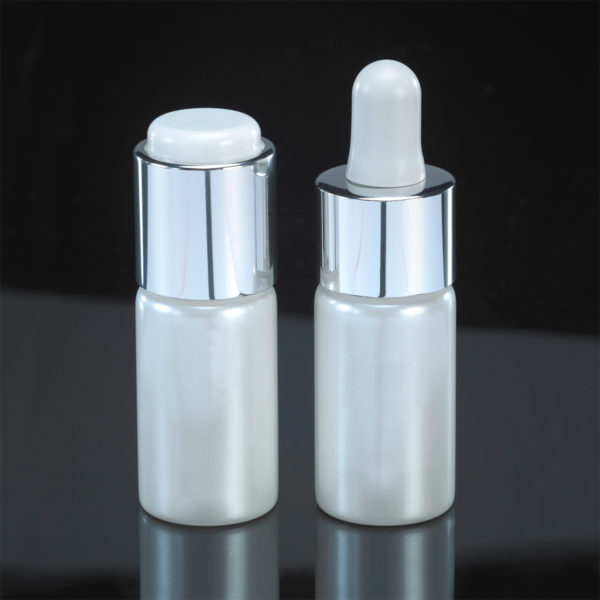 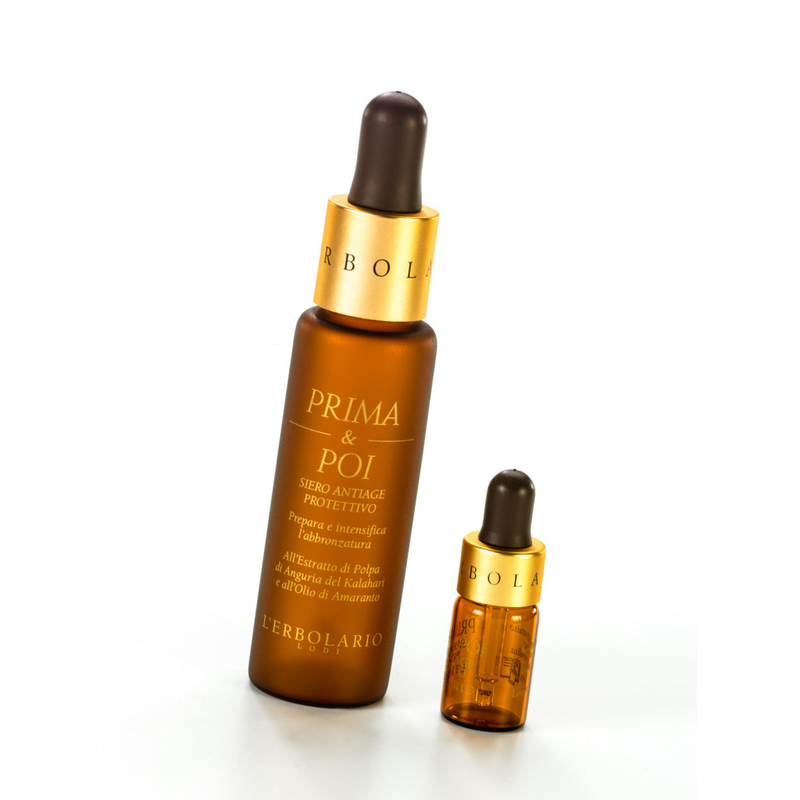 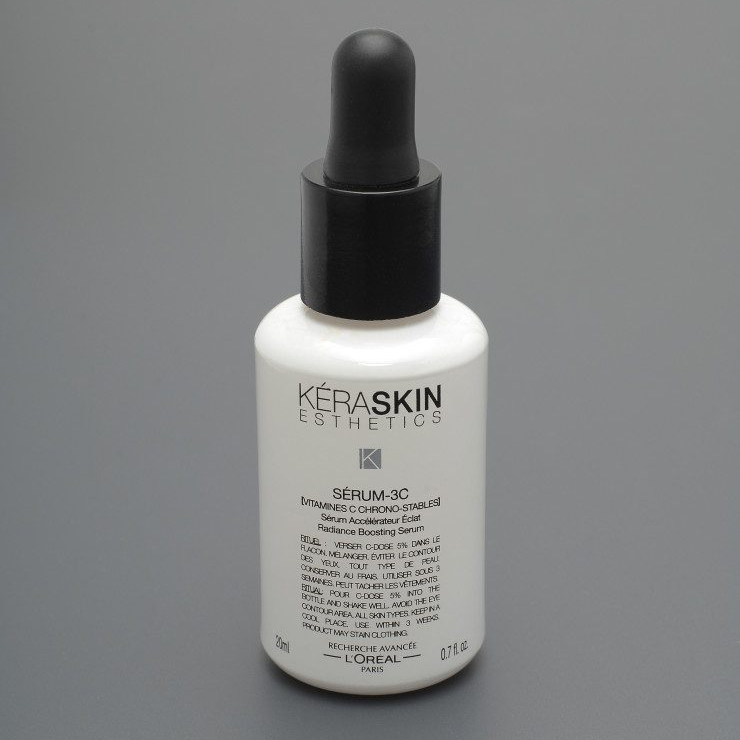 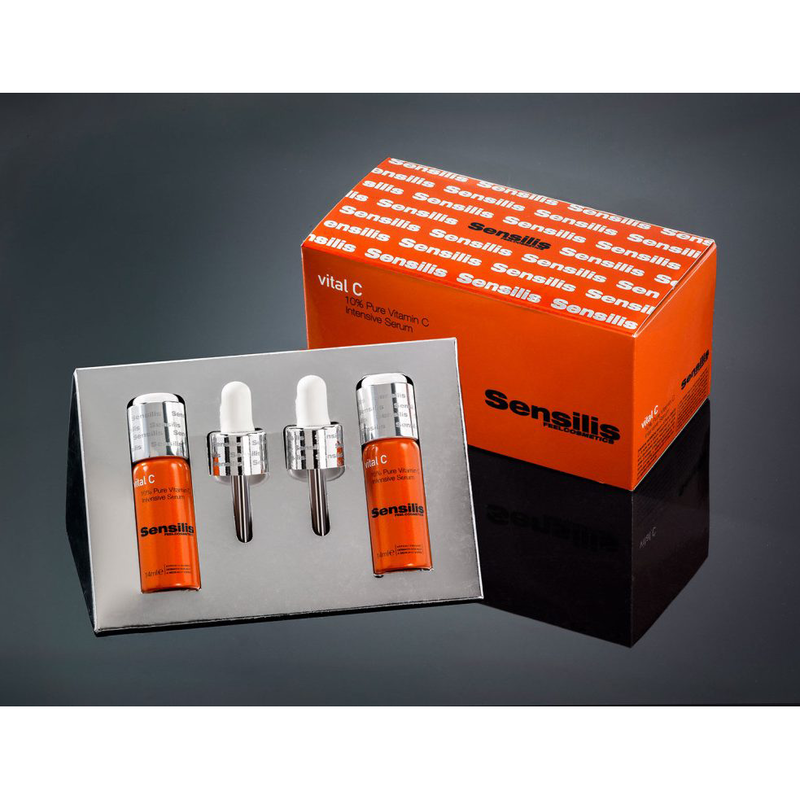 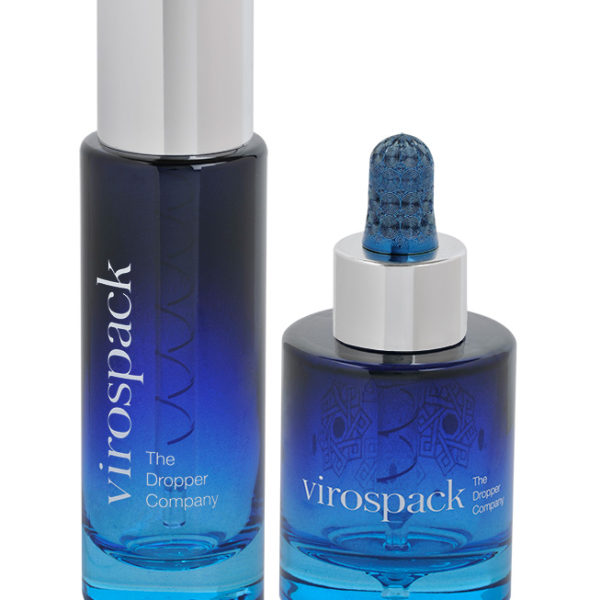 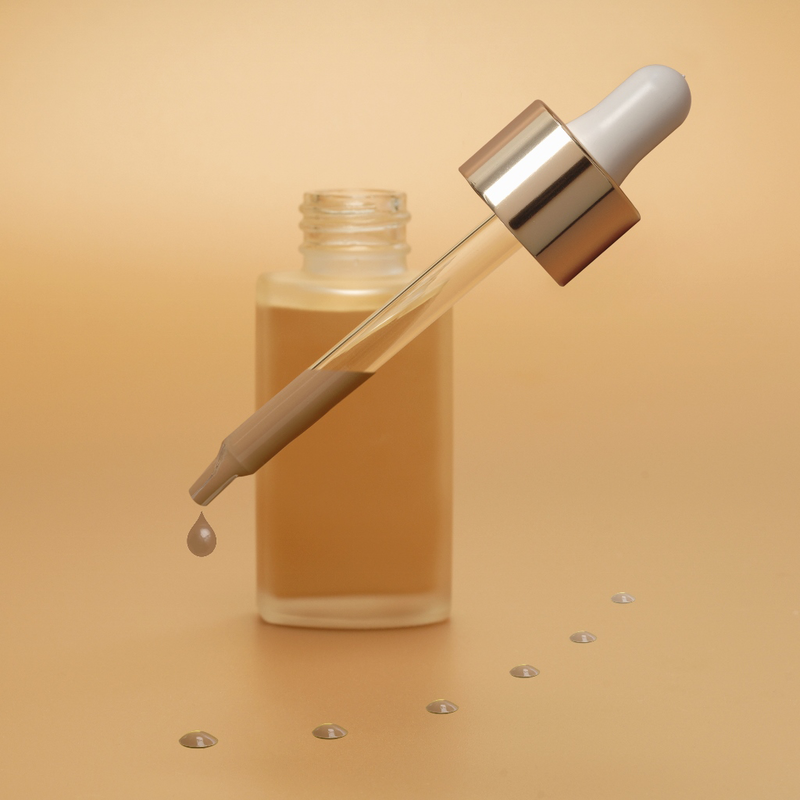 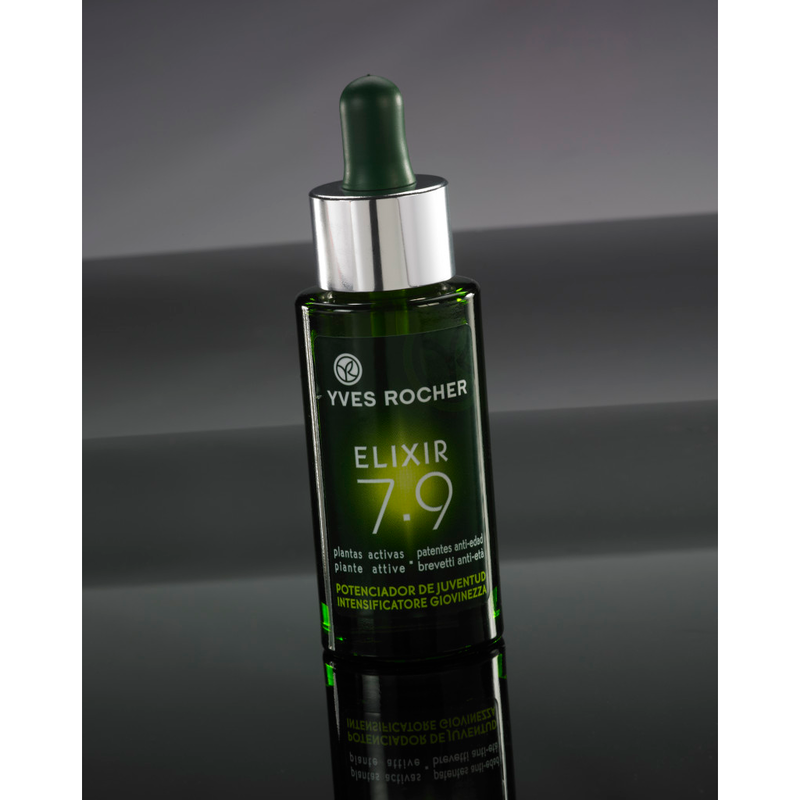 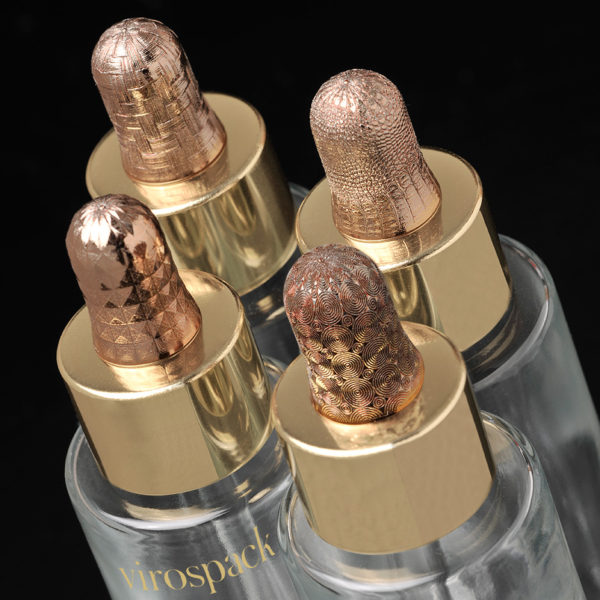 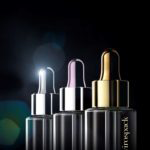 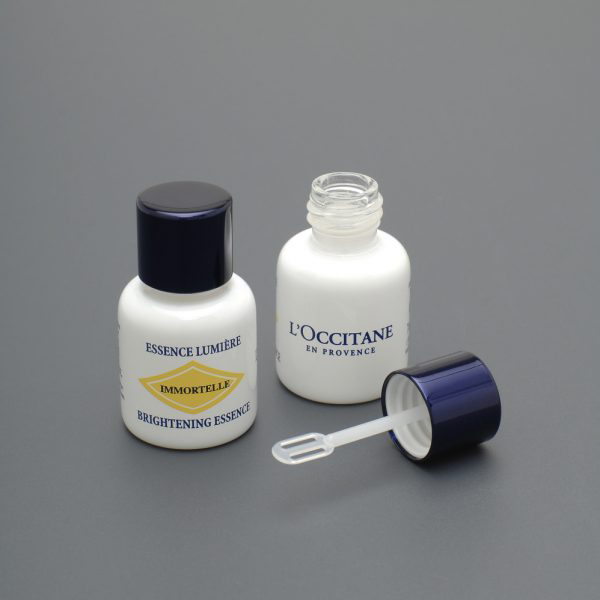 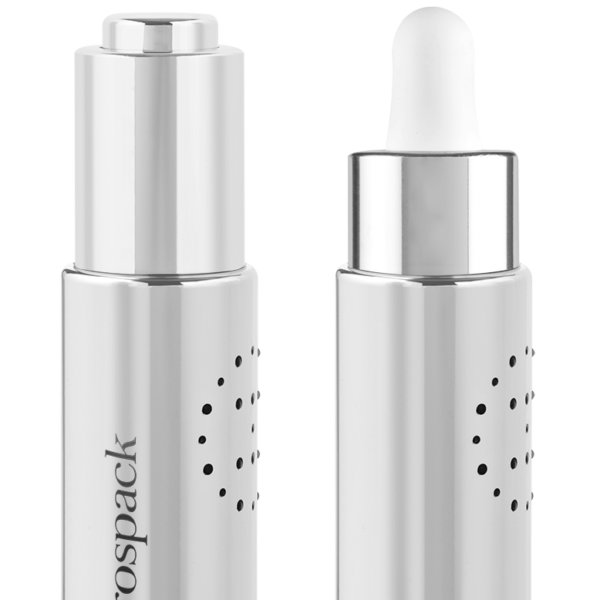 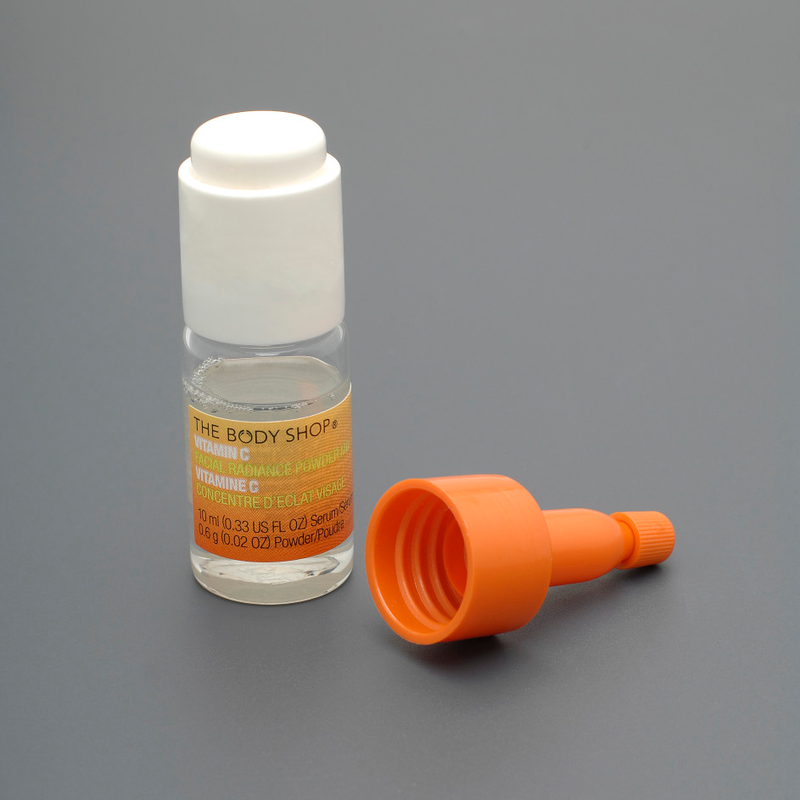 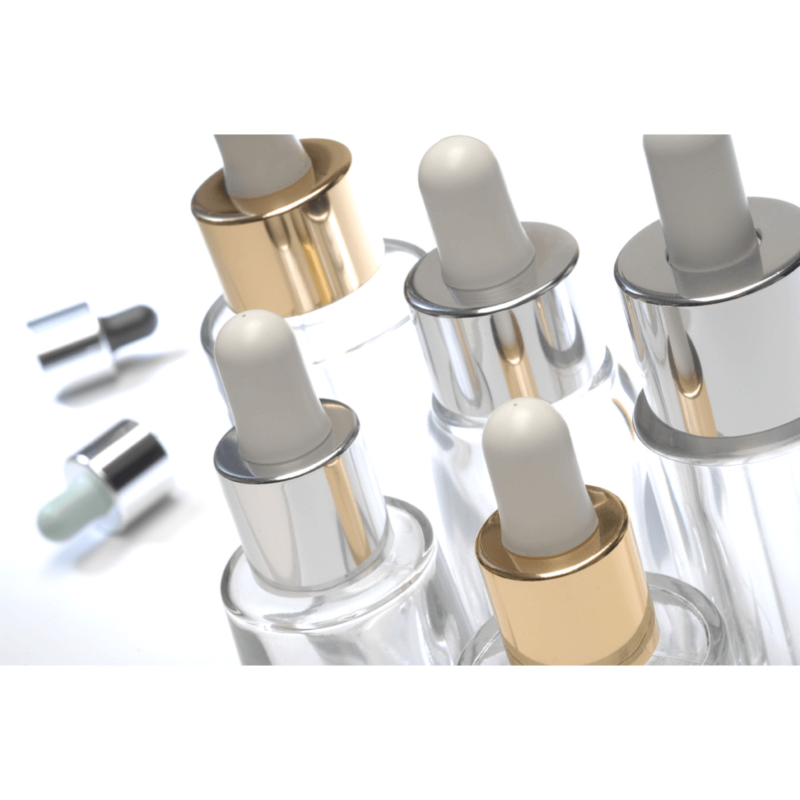 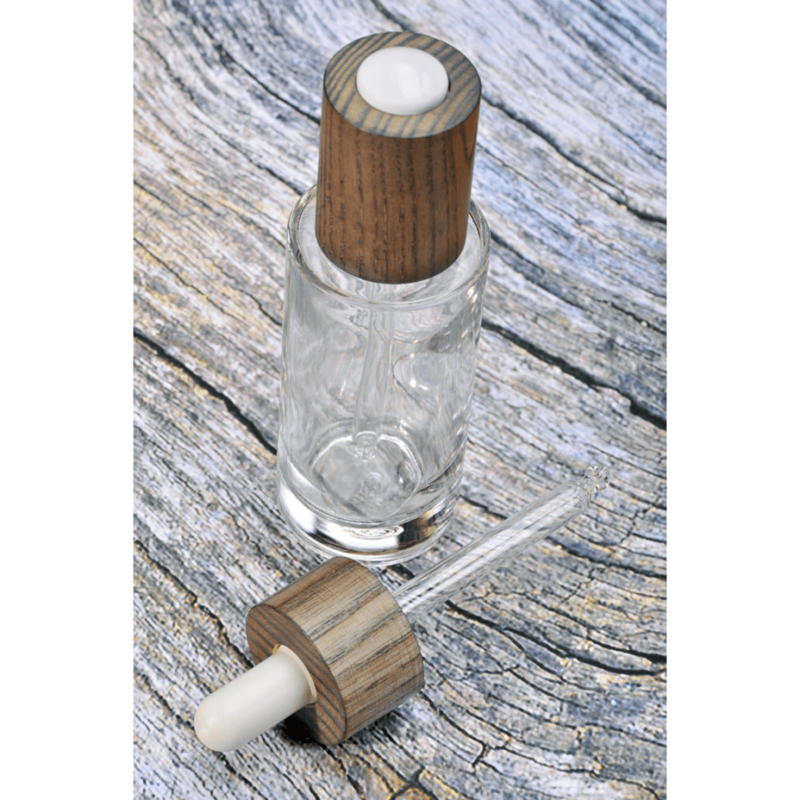 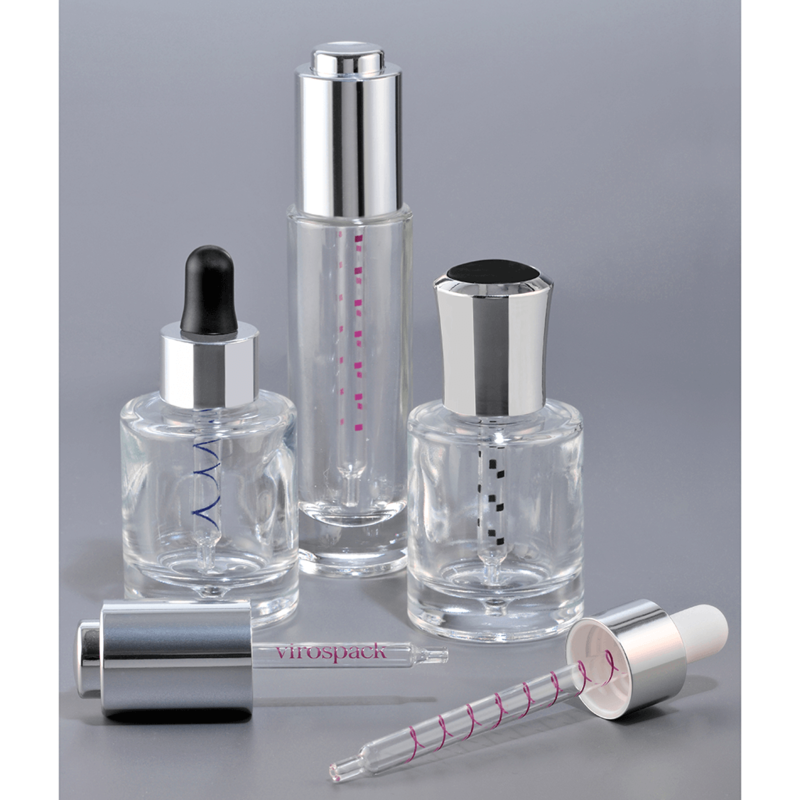 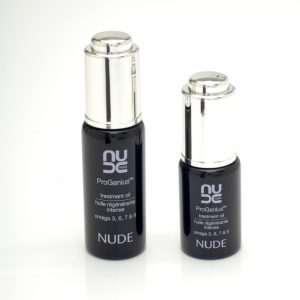 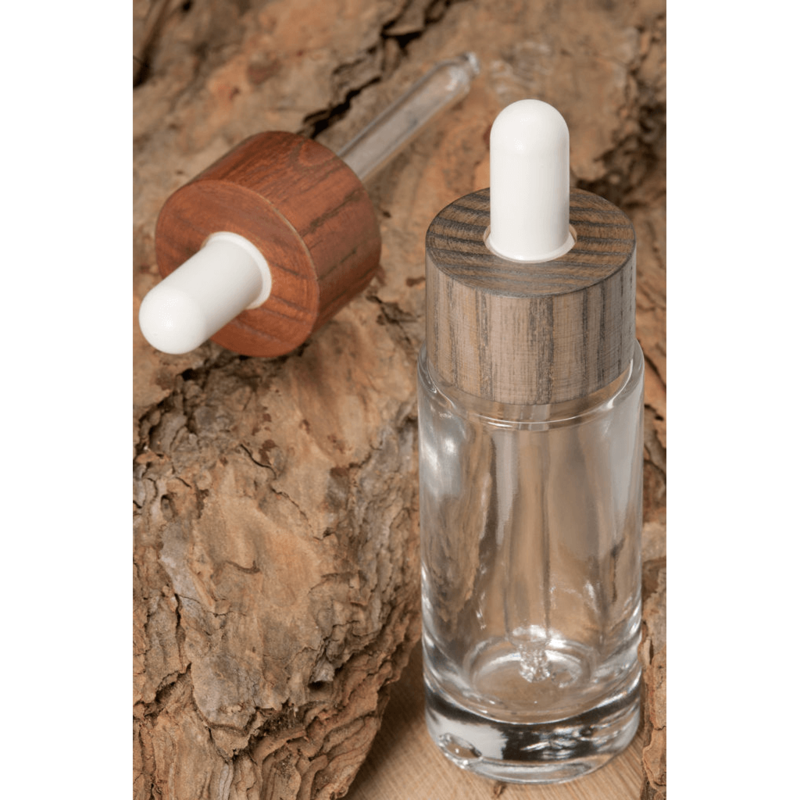 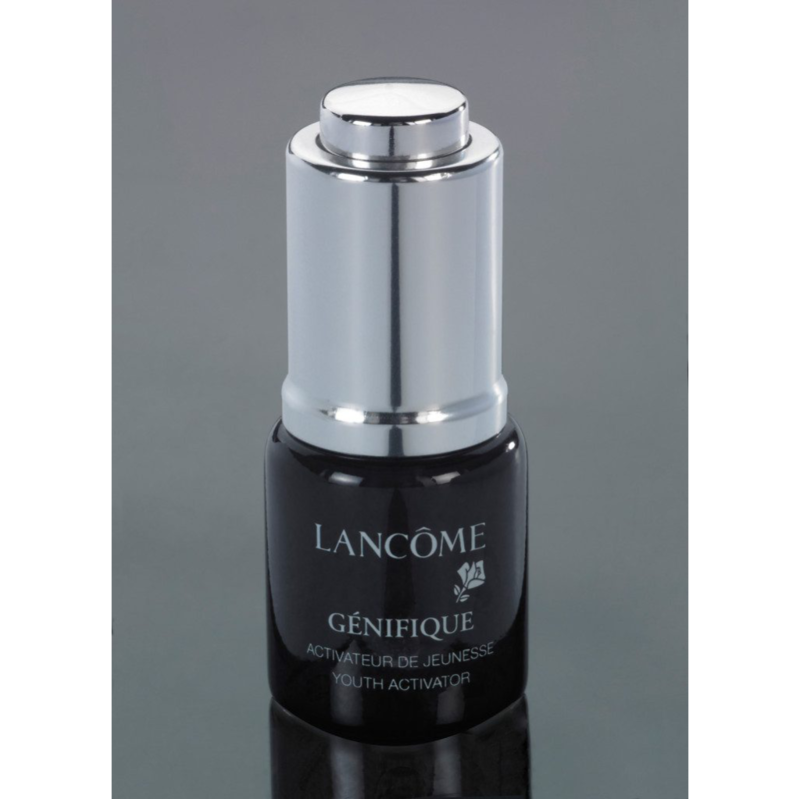 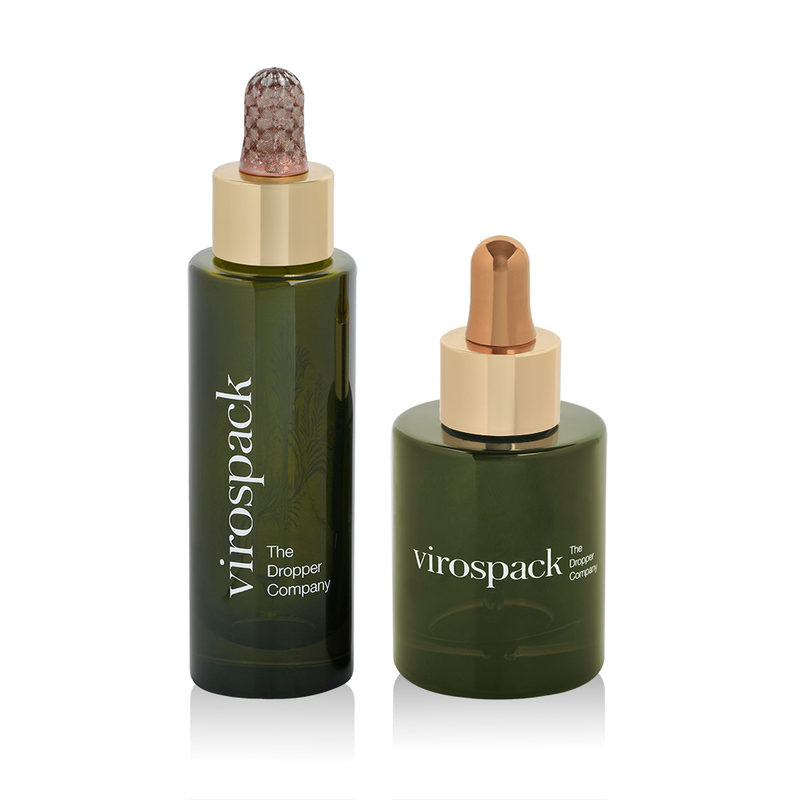 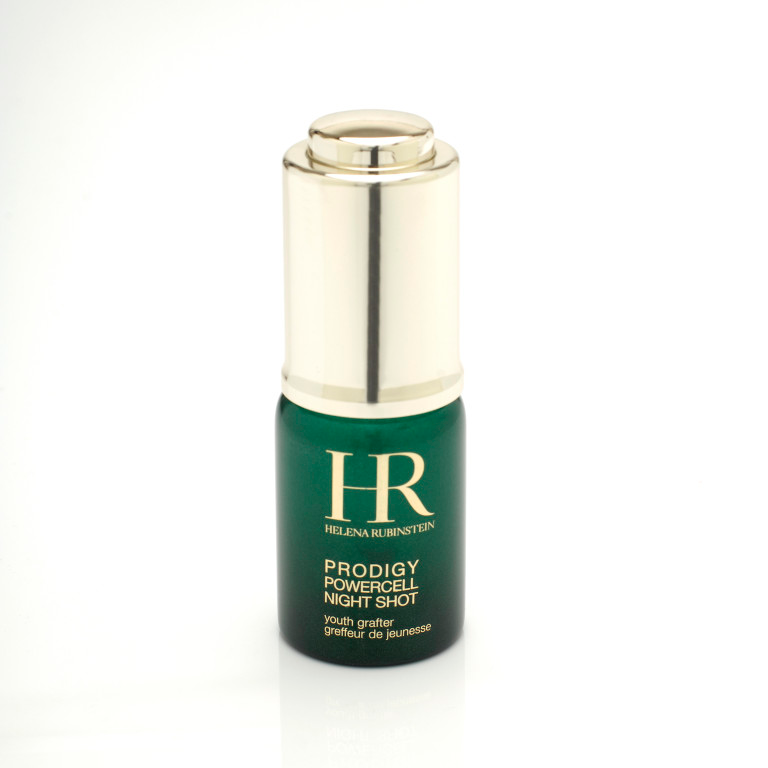 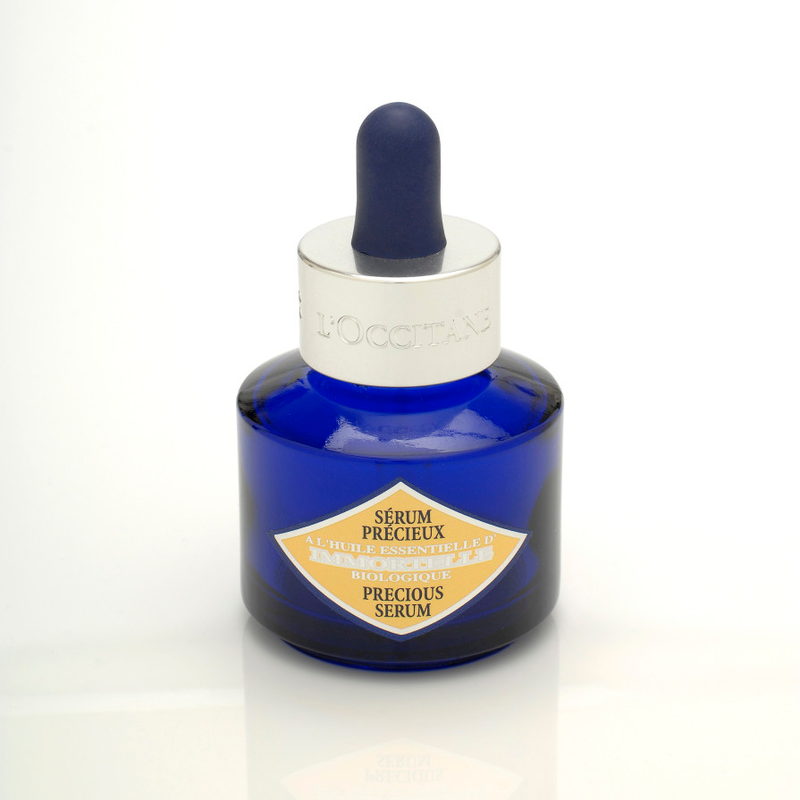 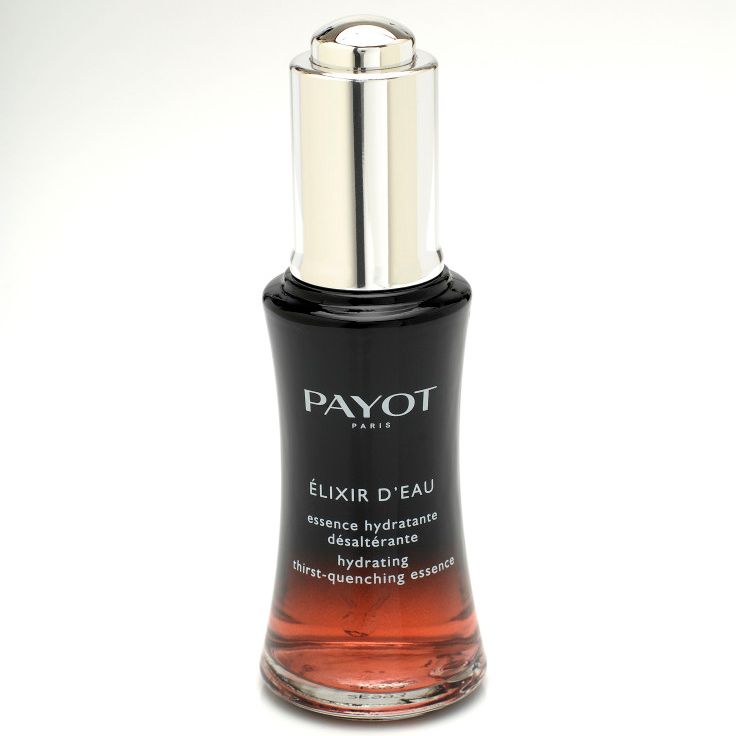 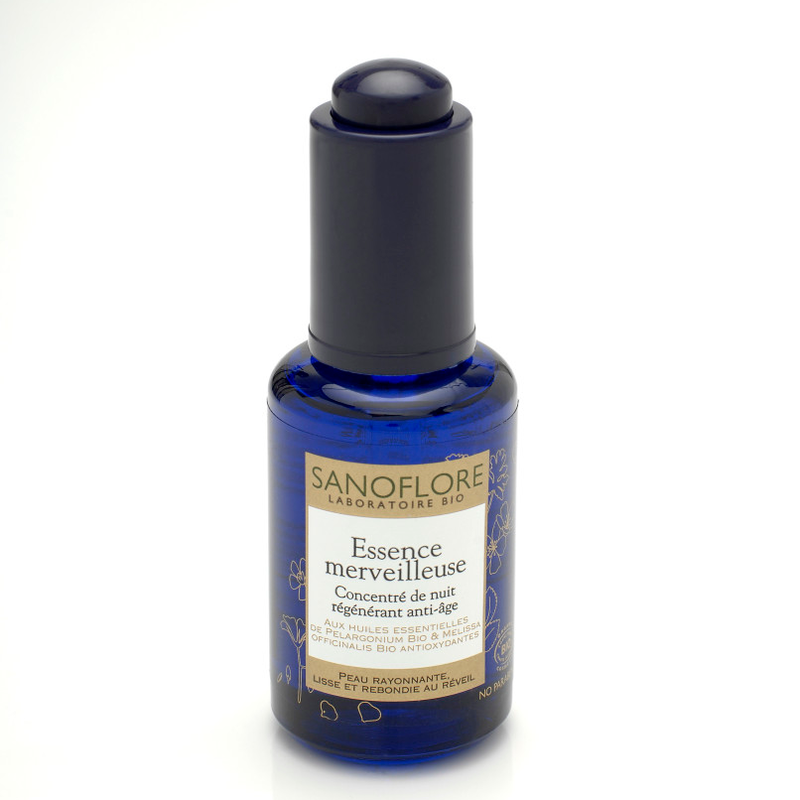 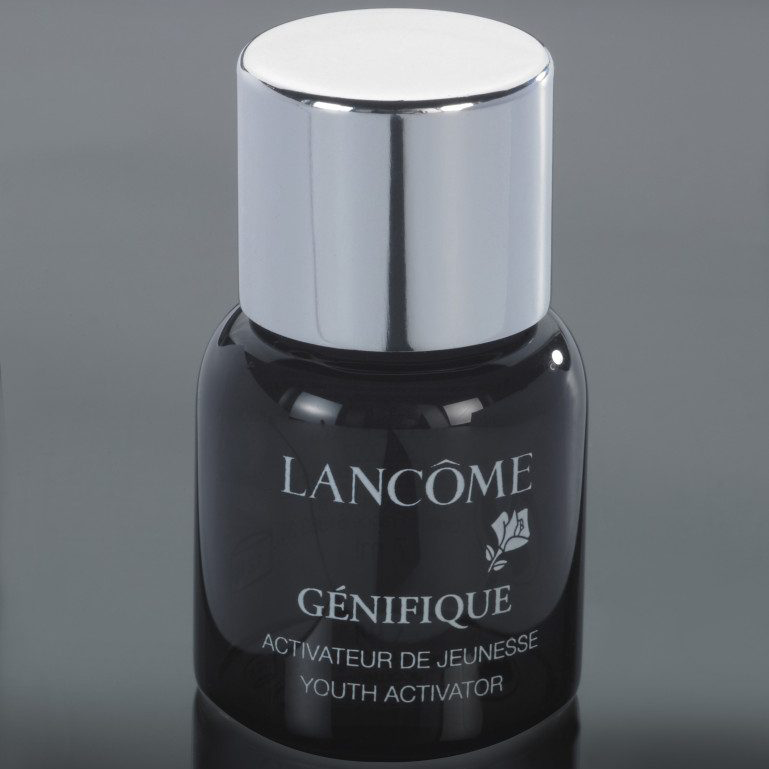 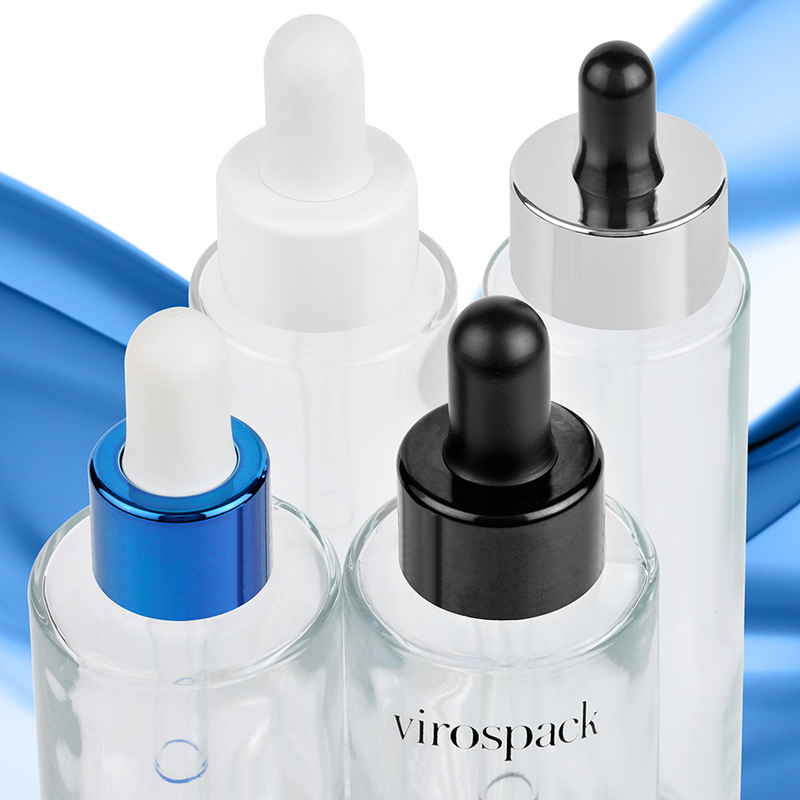 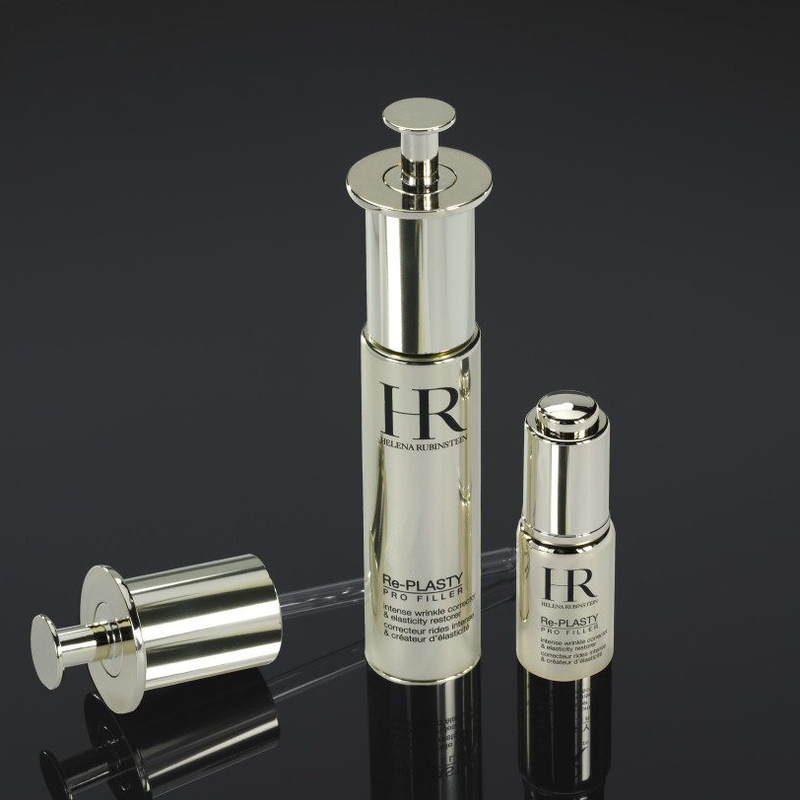 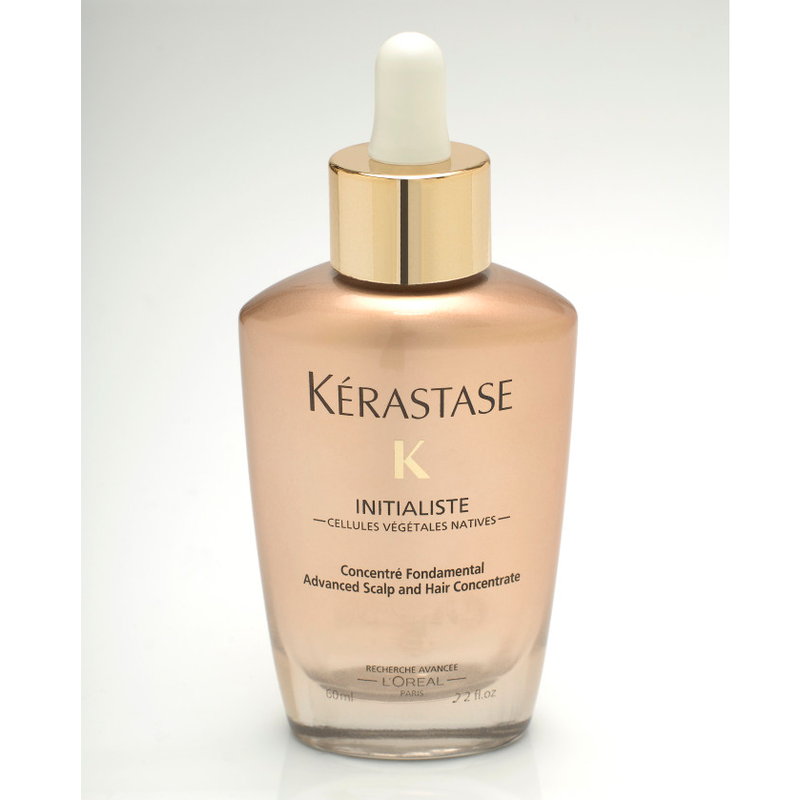 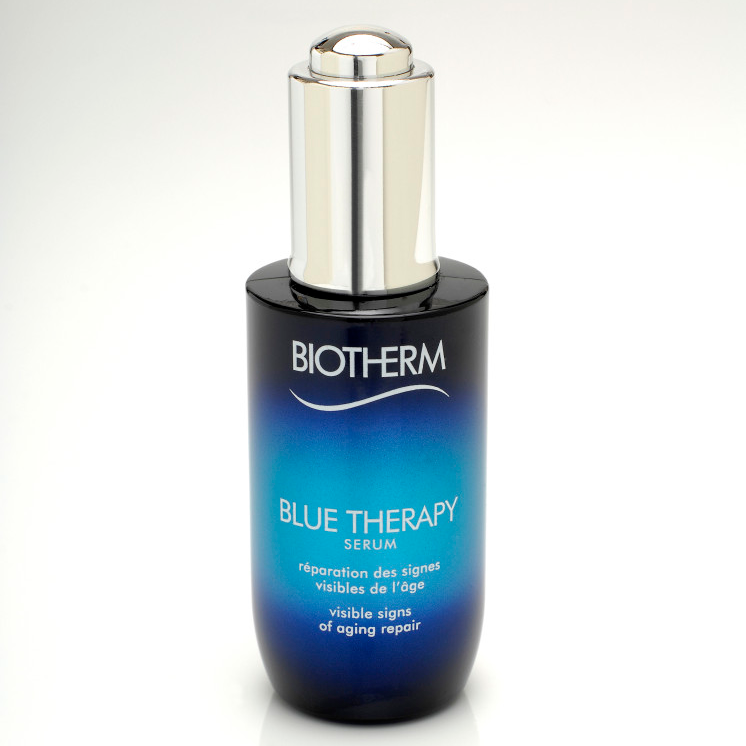 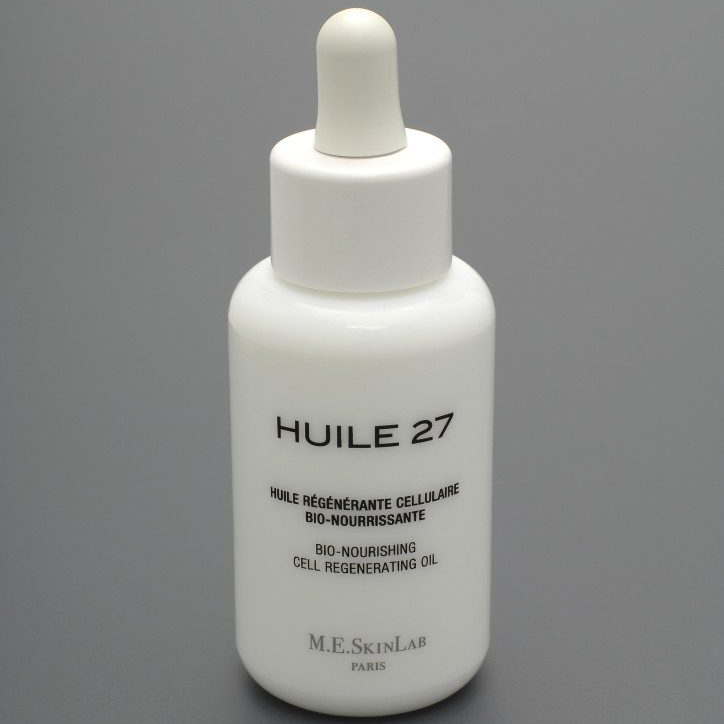 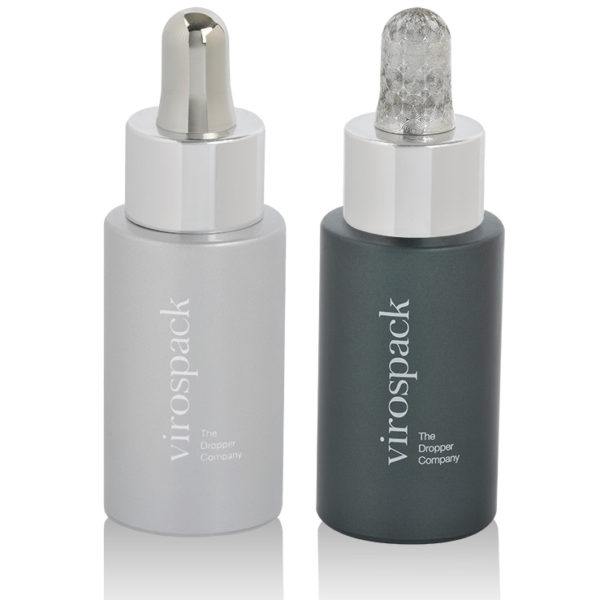 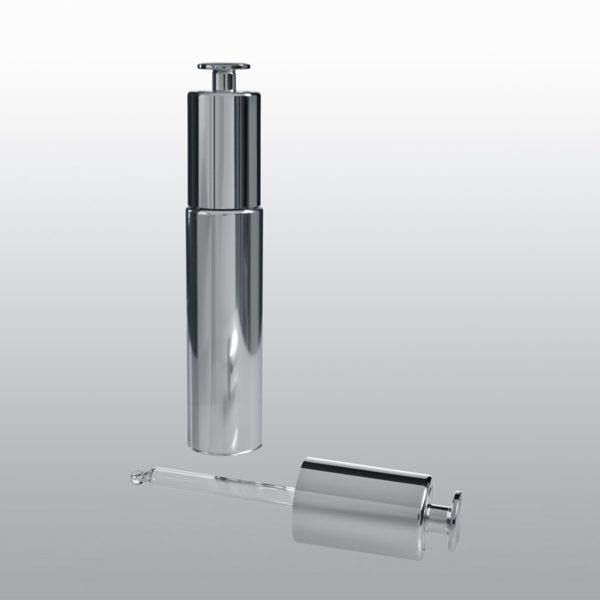 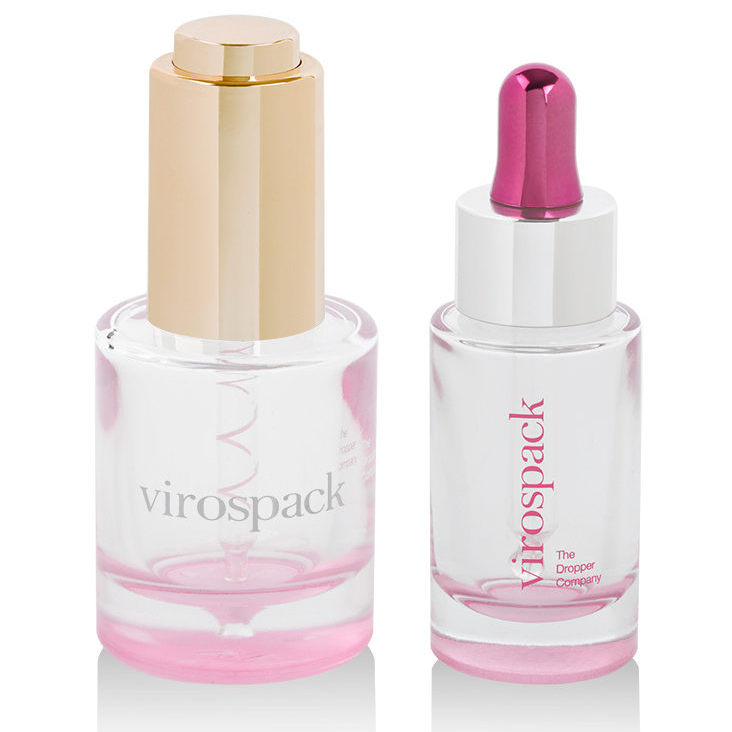 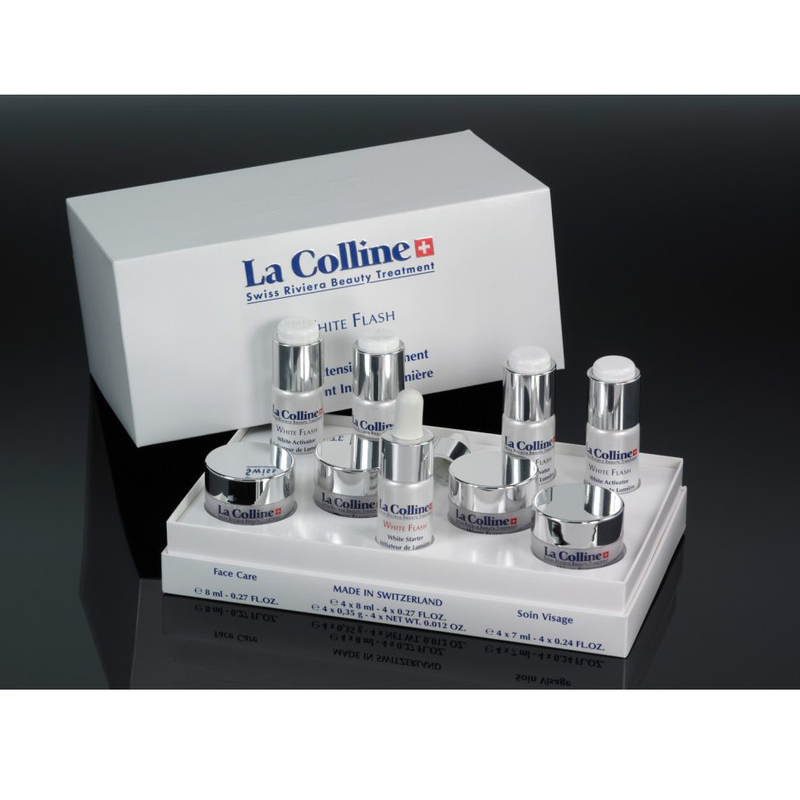 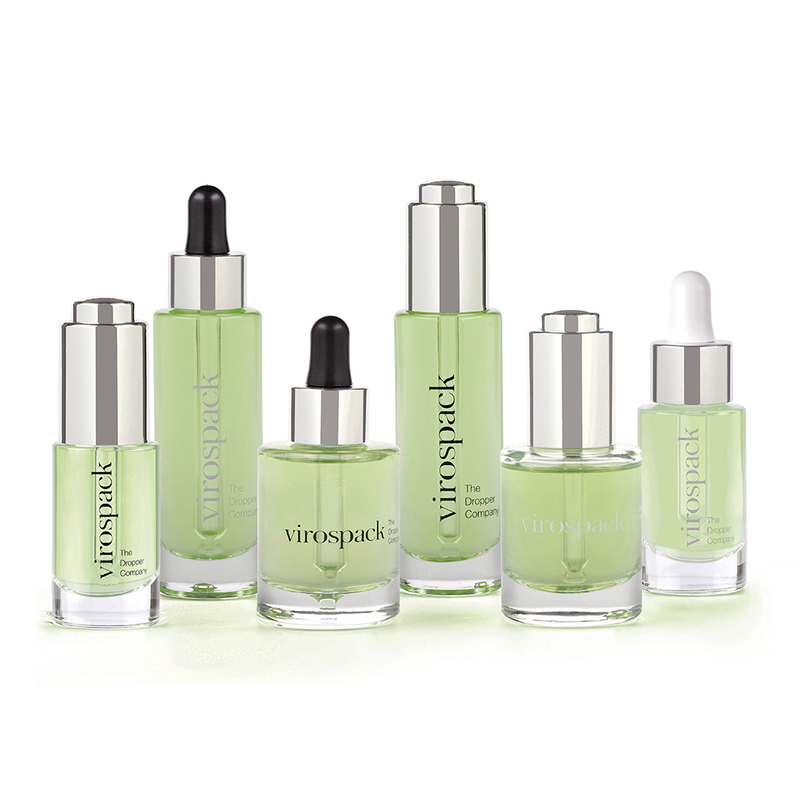 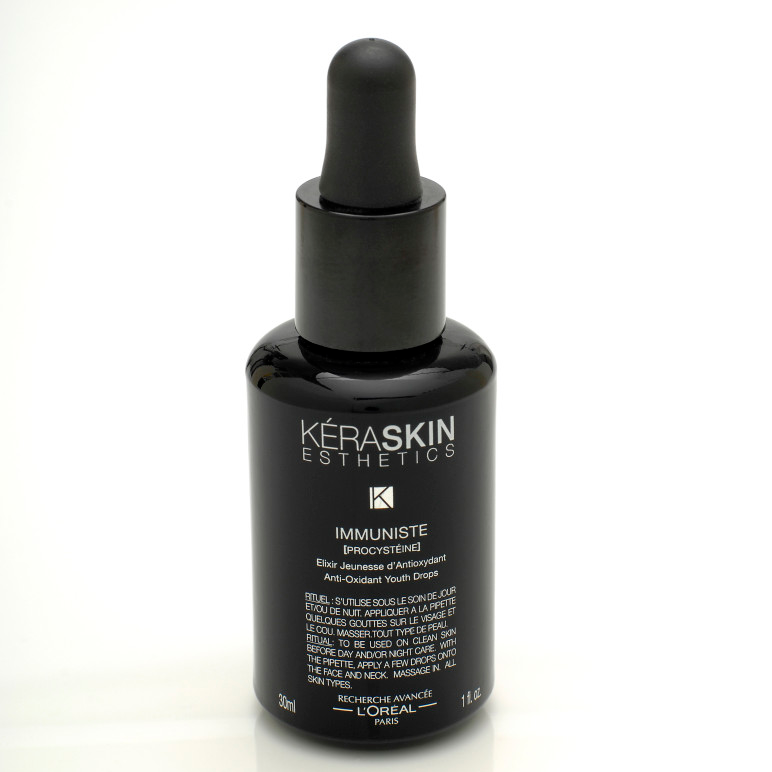 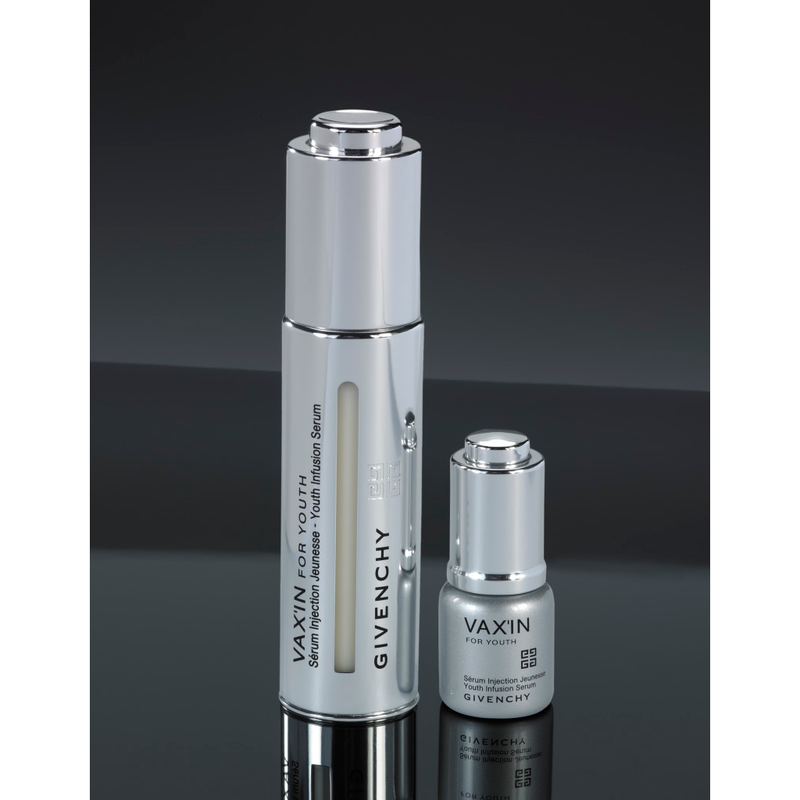 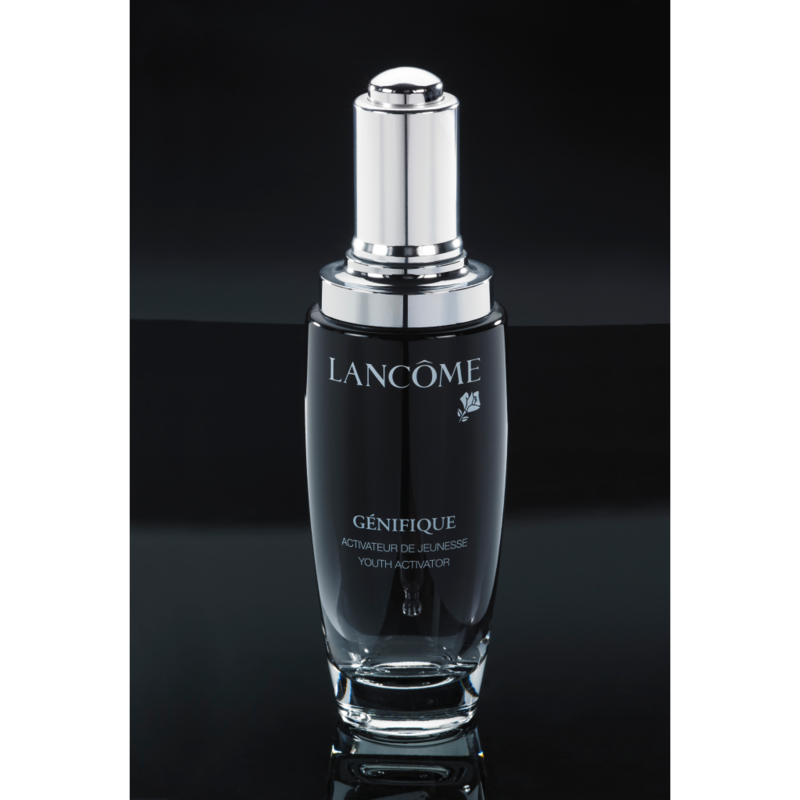 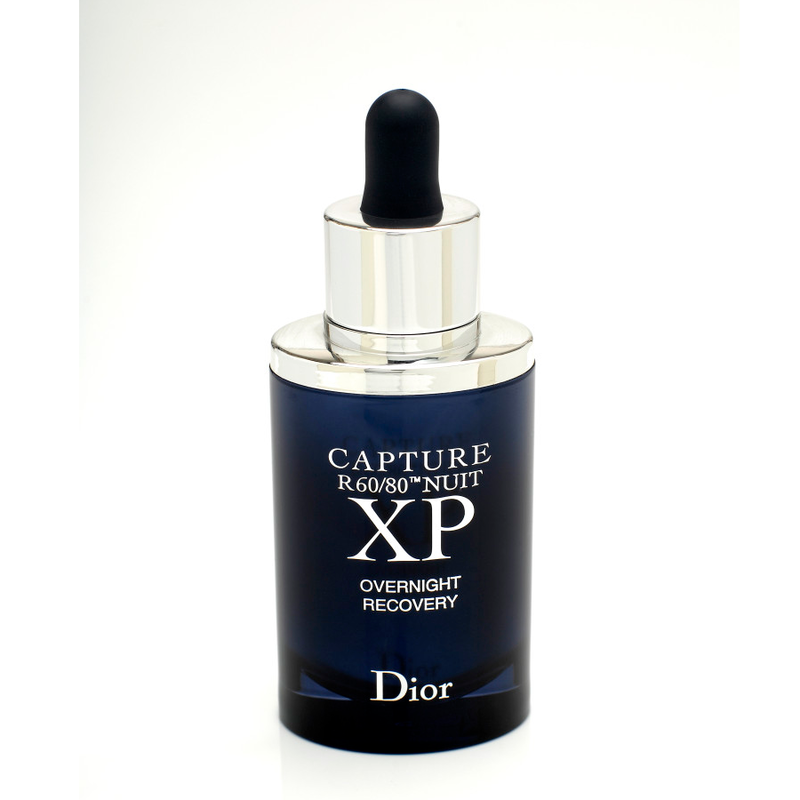 Our droppers are ideal for liquid solutions, serums, oils, lotions, and treatment products. 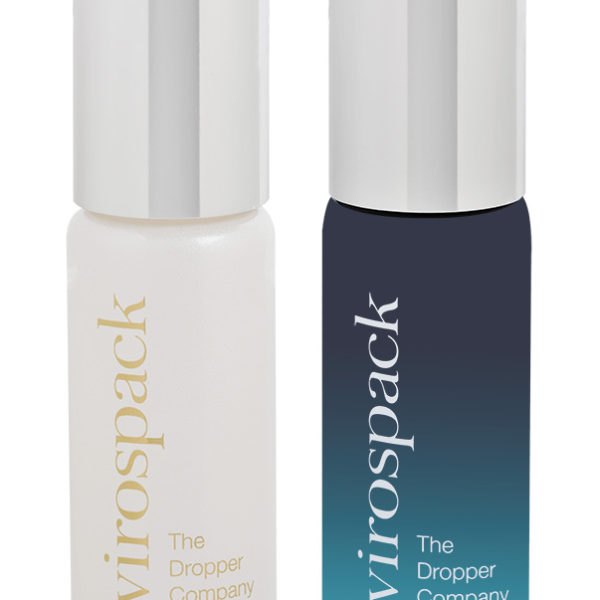 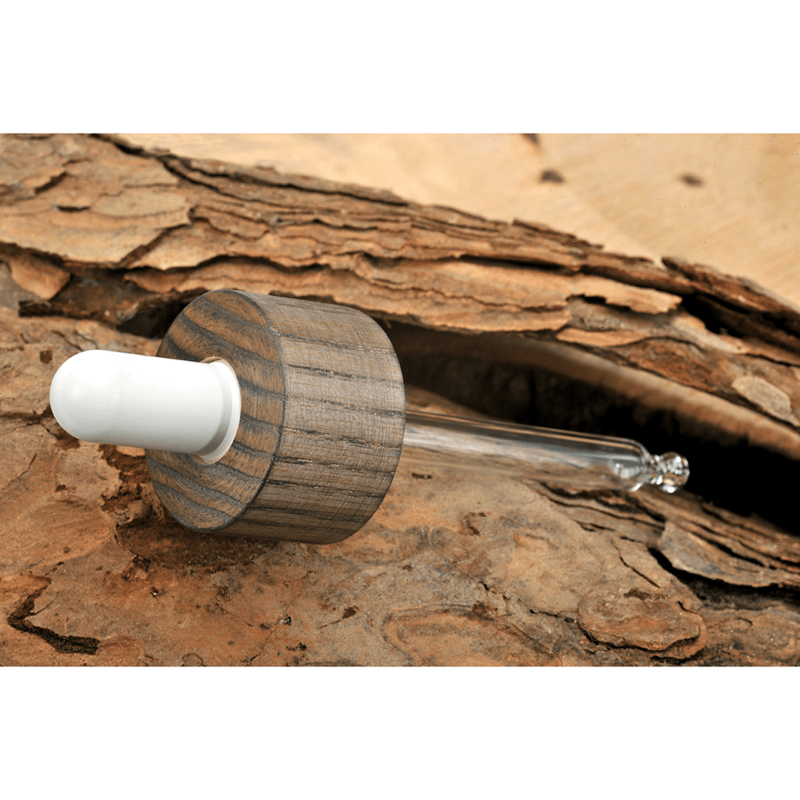 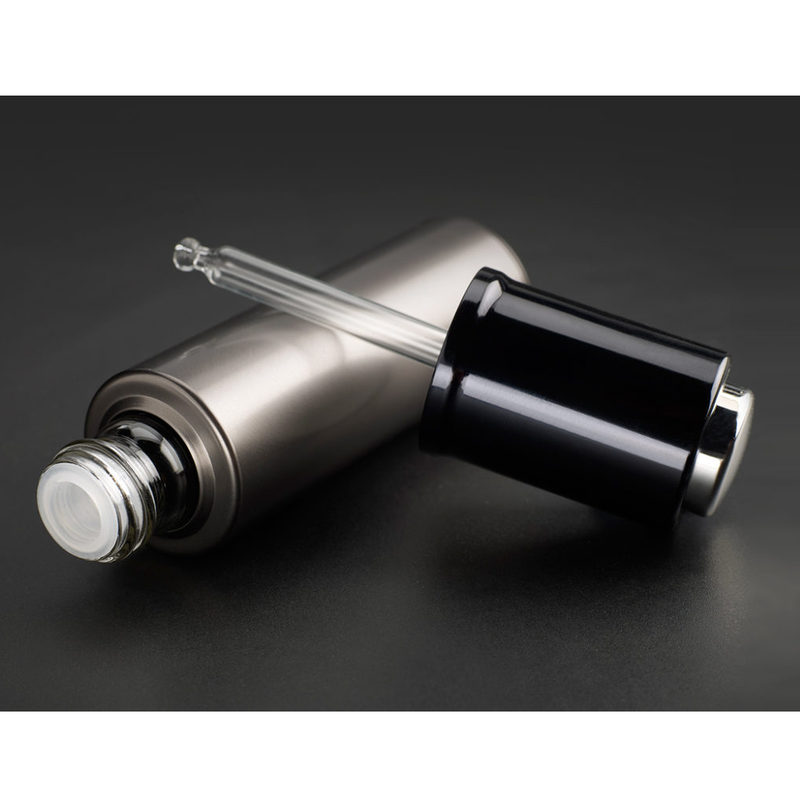 We can pair our droppers with our tubular glass vial options which are available from 2ml to 30ml as well as stock bottles. 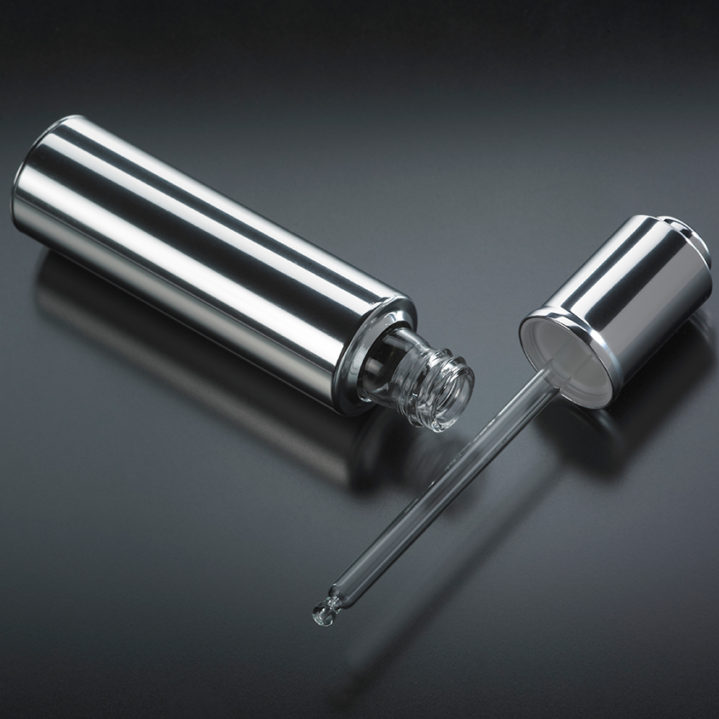 Dropper packaging is available for various needs including sampling, duo mix power dispensing system for a two components, power & liquid applications, and spatula application. 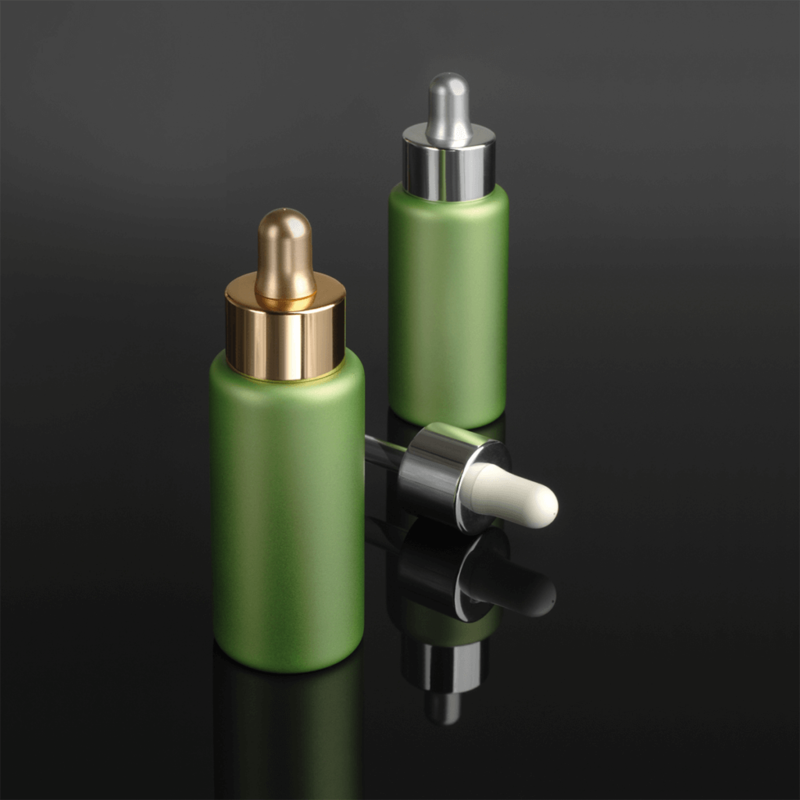 We also offer a vast selection of decoration capabilities.